This session discusses the importance of considering sustainability and supportability needs in IT Architecture projects. Topics to be explored include monitoring, scaling for performance and stability, management of servicing machines en masse in the data center and beyond. 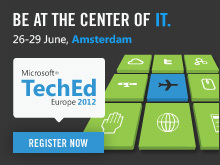 One at TechEd 2012 Europe went much better, might be more interesting to you.